Congratulations to the Pacific Ridge Vocal and Honors Jazz Rock Ensembles on their impressive performances last weekend at the WorldStrides Music Festival in New Orleans. Vocal Ensemble was awarded a Gold rating, the program's highest honor, for the sixth consecutive year! The group also took first place in their division and was invited to perform in the Festival at Carnegie Hall next year, a privilege reserved for the nation's elite high school bands, choirs, and orchestras. Honors Jazz/Rock, was awarded a Silver rating. 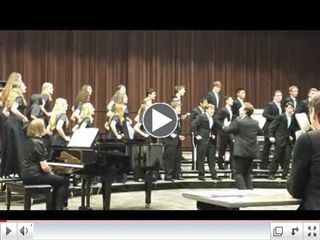 Click here to watch a video clip of the Vocal Ensemble performing Shosholoza, a traditional South African song.